When we talk about health, we often mean the relationship we have with our bodies; getting enough exercise, eating well, learning more about where our food comes from. Another form of health is the relationship that we have with the rest of the world and the understanding we seek of the world beyond our borders. As a Canadian married to an American, I’ve been fortunate enough to have lived in four different countries: Canada, the U.S., South Korea, and Germany, while traveling to several more. Challenging your everyday assumptions on a trip abroad is as important as any exercise or healthy diet you can adopt. Although many of us dream of vacations overseas, we often forget how easily we can pack up and spend the weekend in Canada and experience a different culture, just a short drive from our door. Living in Washington gives us wonderful access to the longest international border in the entire world. Less than a three hour drive from Seattle and we find ourselves in British Columbia, Canada, our friendly neighbors to the North. With the current exchange rate being incredibly favorable for our U.S. dollar ($1 USD = $1.32 CAD at the moment, meaning your $100 in the US would be worth $132 in Canada), the trip is easily done on a budget. Although having a passport is always advantageous, you can drive across the border to Canada with the Washington State Enhanced Drivers License, a more affordable alternative to a passport and useful for land crossings, though plane travel across borders still requires a passport. Many people are not aware that they can easily opt in for the Enhanced License both when renewing and by paying just $3 per year until expiry to upgrade at any time. Children can also obtain an Enhanced Identification Card so they can accompany you on your trip. More information on the Enhanced Licensing program here and further information about crossing the border is available here. 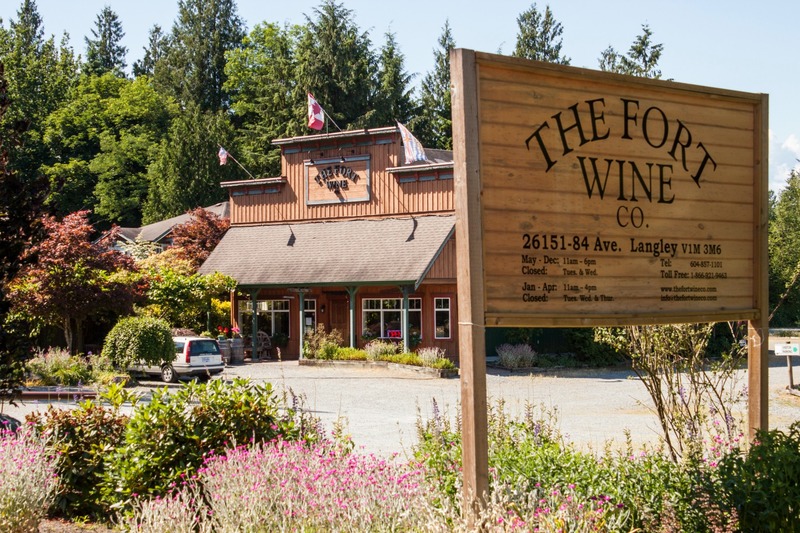 Once you’ve decided to take the leap, there is no shortage of places to explore in British Columbia and across Canada, but we recommend you start near the border, with the gorgeous Fraser Valley, Canada’s newest wine region and an easy weekend trip! 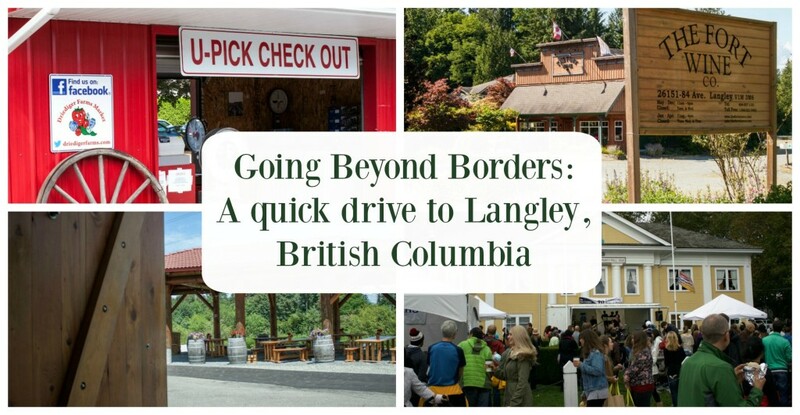 Langley, British Columbia is just southeast of Vancouver and reaches from the Fraser River down to the border. 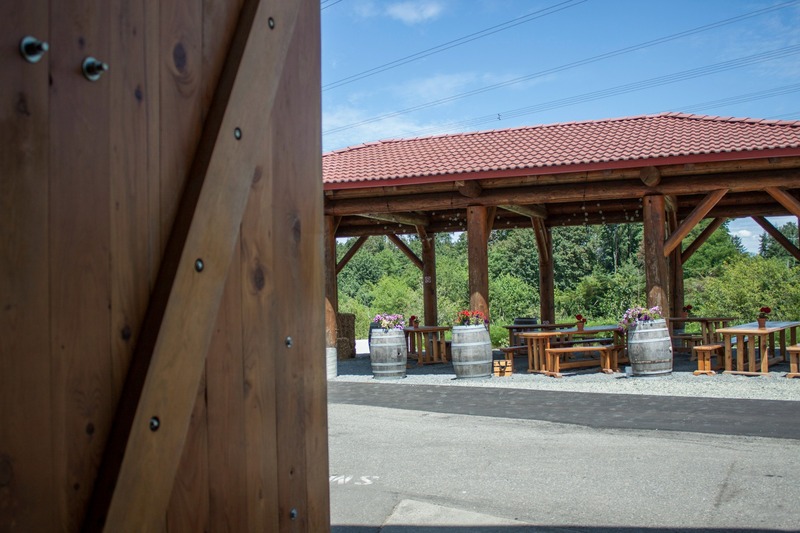 The area exists in a microclimate that is perfect for cultivating grapes and is home to seven family-owned wineries that are perfect for those new to wine-tasting as well as the aficionados among us. 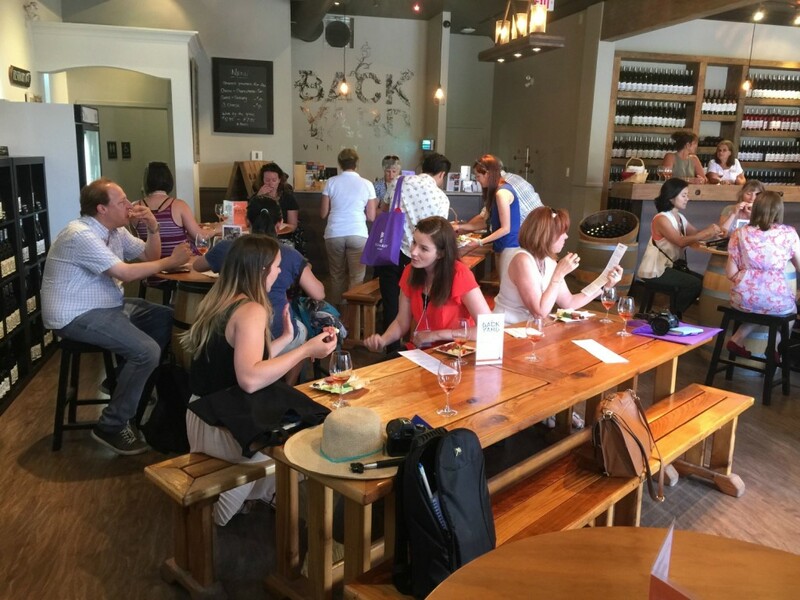 Children are allowed in most of the tasting rooms and there are picnic tables at several where you can sit and enjoy a glass of wine while taking in the view of the vineyards. This portion of British Columbia is home to a great program called the Circle Farm Tour that promotes the local food system, including wineries and farms. 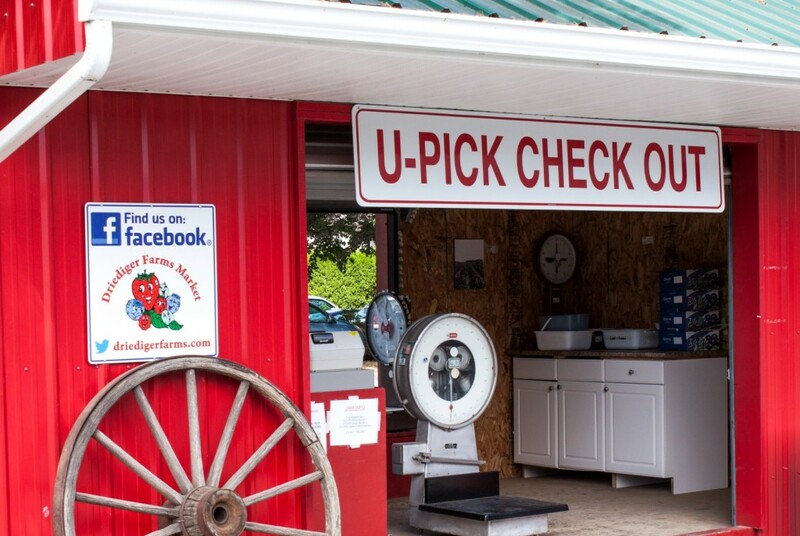 The free guidebook and website provide maps and information about many of the areas farms and artisans and makes for a great way to spend the day with the kids or plan your itinerary for a relaxing day with friends. 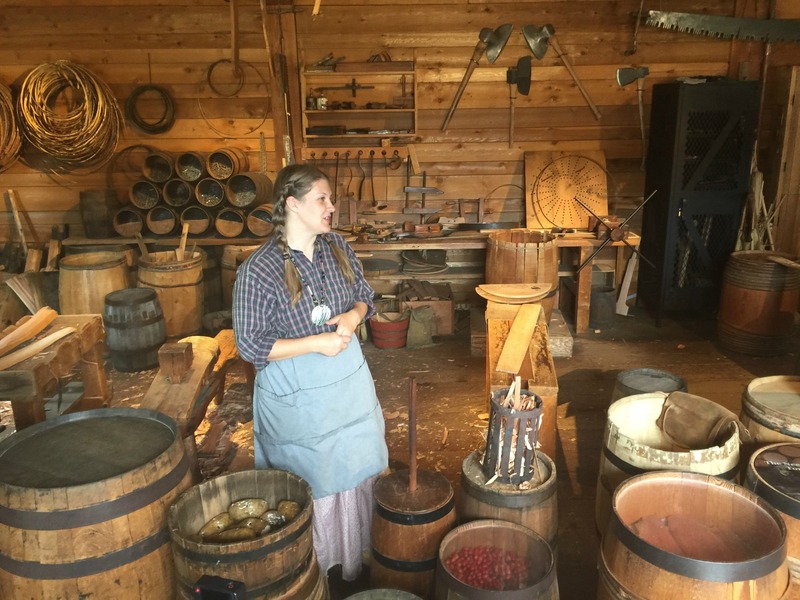 If the kids need a bit more space to run and explore, head to Fort Langley, the small historic town that is home to The Fort Langley National Historic Site (highly rated on TripAdvisor) and many adorable shops and cafes to explore on a sunny day. The tv show “Once Upon A Time” uses the town as a backdrop for much of the filming. 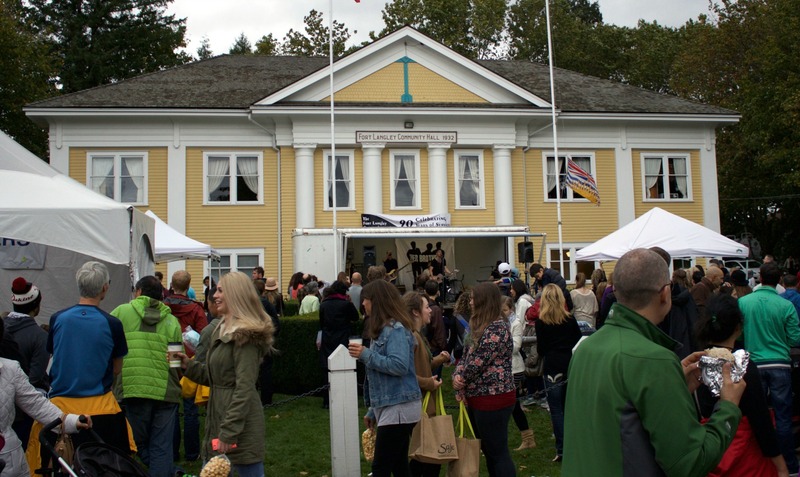 Pose in front of the bright yellow community hall which you’ll recognize as the Storybrooke Town Hall from the show. Bates Motel is also shot nearby in Aldergrove, but the hotel sits on private land and isn’t available to visit. 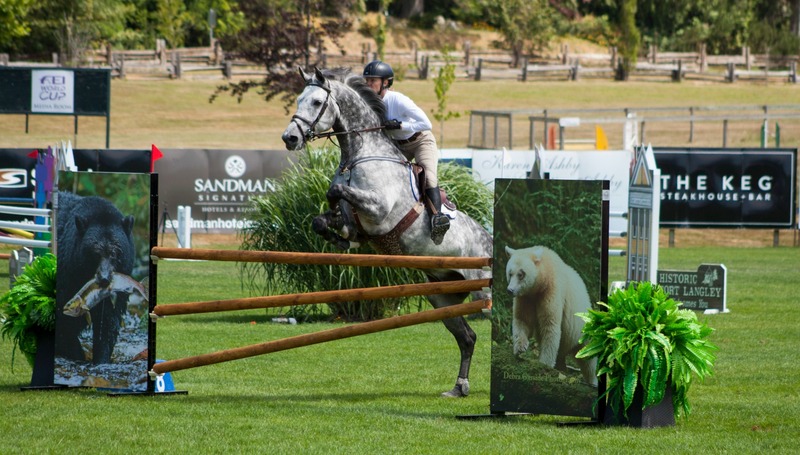 Langley is also home to Thunderbird Show Park, a beautiful showjumping facility that sits on over 100 acres, incorporating several show and training rings as well as restaurants and outdoor seating areas. Though open only in late spring to early fall, the park is an amazing place for horse lovers to spend the day and is very family-friendly. More information at www.tbird.ca There are plenty of great hotels and B&B’s throughout Langley and TripAdvisor and Yelp are also widely used in Canada, so you can find the accommodation that best suits your needs. Canadians are a friendly bunch that greet visitors from around the world every year, so get your bags packed, grab your identification and become a world traveler in a weekend with a road trip to Canada! 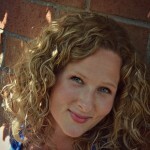 Susan Melnyk currently lives in Olympia where she and her husband are a bit over their head in renovating a mid century modern house and where she creates web strategies from clients across Canada and the U.S. through Melnyk Design Group (www.melnykgroup.com). She writes for Living Olympia (www.livingolympia.com) and always has a backpack ready when the travelbug bites, which is often!